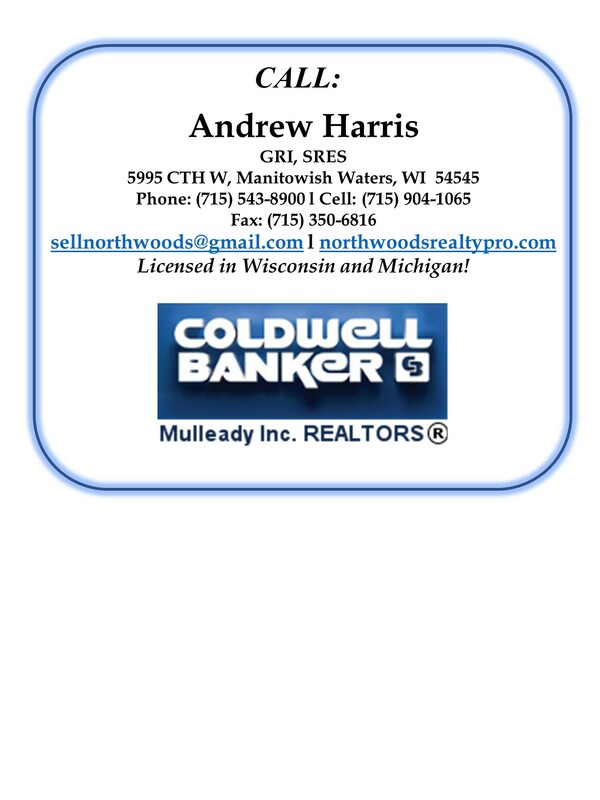 Licensed in Wisconsin and Michigan, I am a full-service broker ready to service your real estate needs in the Northwoods! My goal is to deliver the smoothest and best possible real estate buying or selling experience for my clients and customers. For buyers, call me to help you find “just the right” property you’re looking for. If you’re considering selling, call me for a free, no obligation market analysis and broker price opinion on your property.. Photos sell property! Every listing includes professional aerial drone photography and carefully edited and selected ground and interior photos. As a proud member of the Coldwell Banker Mulleady team of 46 realtors in 5 locations, I also bring the resources and the experience of the area’s largest and most experienced brokerage as well as national brand recognition.